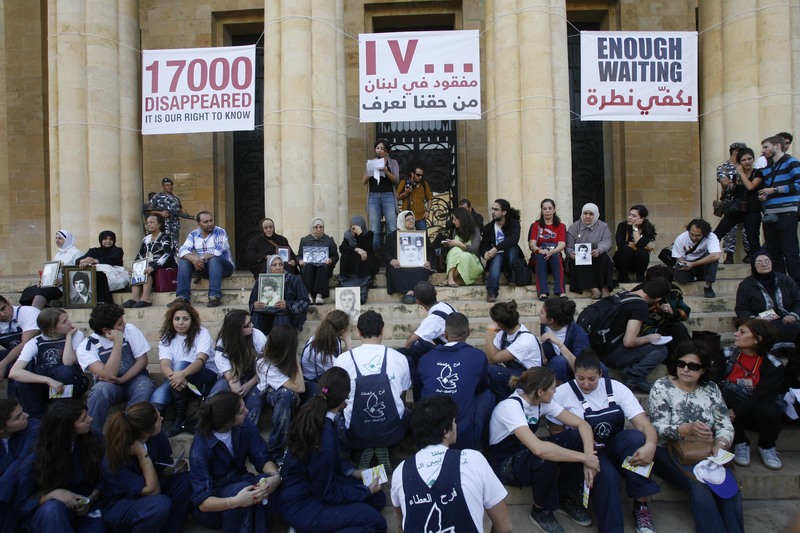 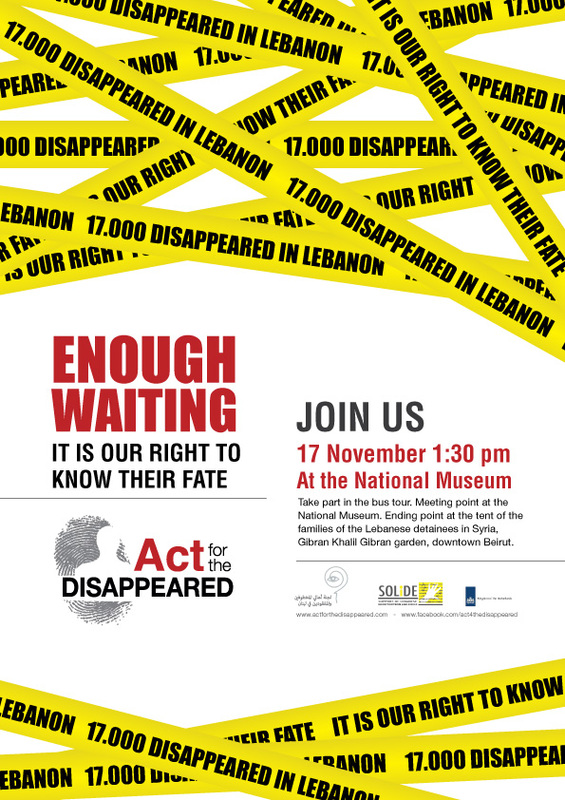 Thirty years after the first gathering of the families of the missing and forcibly disappeared in 1982, ACT for the Disappeared, the Committee of the families of the kidnapped and disappeared and the association SOLIDE called on all citizens to gather on November 2012 in front of the Lebanese National Museum to support the cause and stand for their right to know. 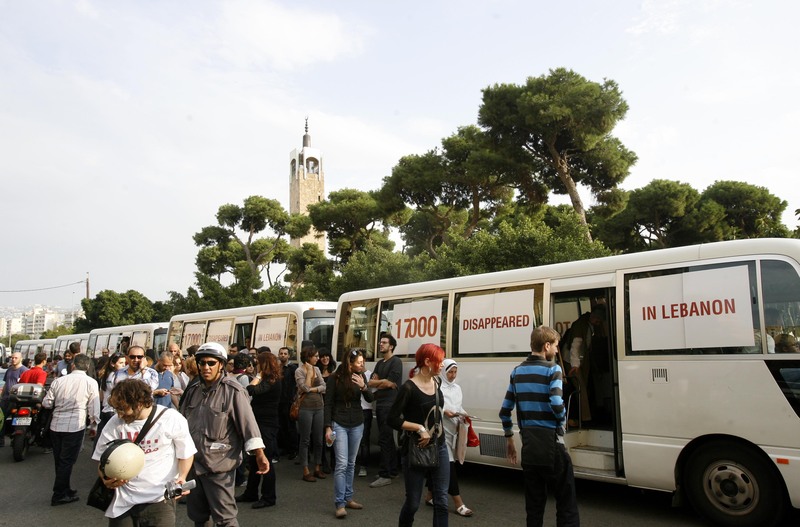 From there, a bus convoy left and stopped at highly symbolic places: three sites of mass graves specified by the Lebanese State in 2000 and the tent of the disappeared in front of the UN House. 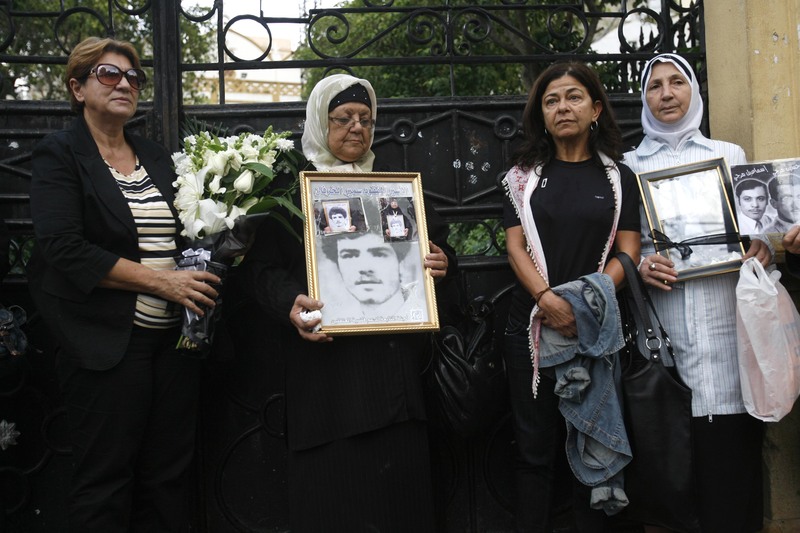 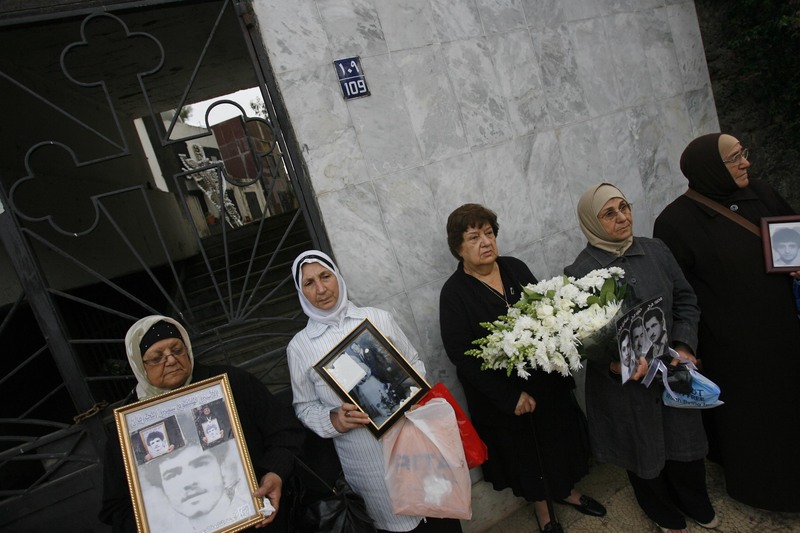 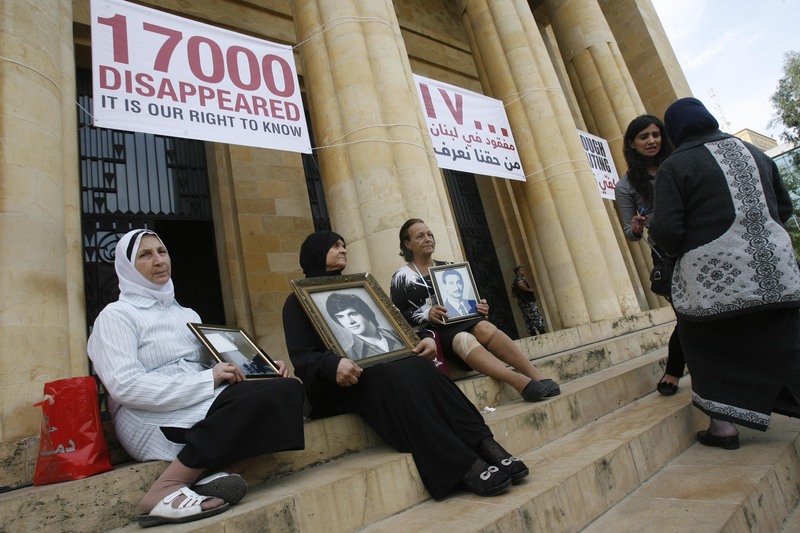 Listen to Wadad Halwani National Call to Relatives of disappeared and Lebanese Society.